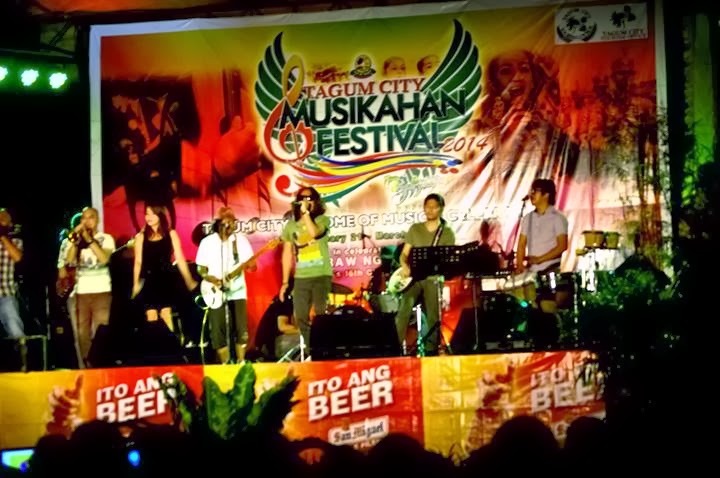 Kuerdas Band won first runner up on a song writing competition in Tagum City last Saturday. I'm so happy for them and I'm really proud of this band. Not that I'm being biased since I'm cousins with the vocalist and band leader - Mark and Jayson and that I'm used to be part of the band years ago. I know for a fact that Kuerdas Band is going to be famous locally and I'm still hoping they will become known in the national music scene. I haven't seen their performance yet and didn't know the song they played for the competition. But being the the 1st runner up out of the 10 finalists, they must have done their best on stage! Not just because of the instruments used like that of ultrasound amps at Guitar Center but especially because of the God-given talent that each of the members possess. Kuerdas Band has come a long way. Although they are now famous in our hometown and some other neighboring cities and town in Mindanao, I know big things are still coming their way.